Let’s face it: Your proposal is going to be memorable no matter where you get down on one knee, but choosing a locale with a little extra wow-factor certainly can’t hurt. Luckily, Boston has no shortage of options, from secret gardens to historical landmarks. Read on for seven of the city’s most unique places to propose. 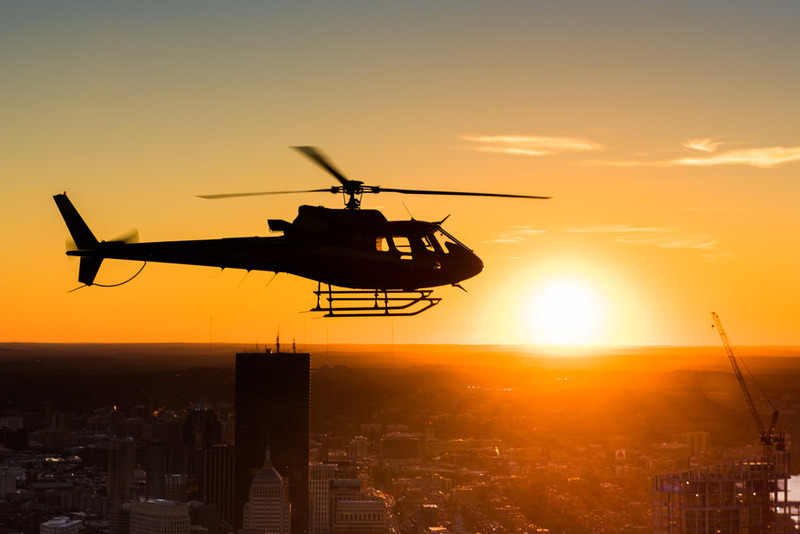 Tuckamore Aviation, which provides helicopter tours and services throughout the northeast, also offers an Engagement Flight package. For $750, enjoy stunning views of the city at sunset, then—after you pop the question—pop complimentary champagne. This place to propose isn’t for the faint of heart, but you’ll certainly never be called too understated. 209 Access Rd., Norwood, 888-435-4560, tuckamoreaviation.com. Nothing could more effectively put your partner off the scent than climbing to the top of a parking garage. Unlike most garages, though, Kendall Square’s Green Garage boasts a secret rooftop garden. The public space occasionally hosts weekday lunch eaters, urban gardeners, or fitness classes, but it’s typically uncrowded, making for a peaceful, private proposal up above the bustling city. 90 Broadway, Cambridge, 617-491-0709, kendallcenter.com. 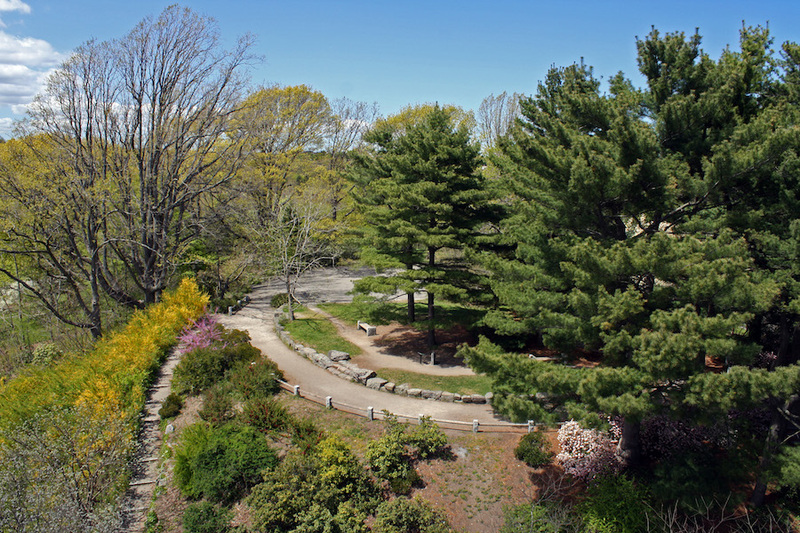 With 281 acres of lush greenery, Arnold Arboretum brims with picturesque proposal spots. Pack a blanket and settle down under a tree, or take a stroll to Peters Hill. Thinking of proposing in the fall? There’s no better backdrop for a post-proposal selfie than foliage. 125 Arborway, Boston, 617-524-1718, arboretum.harvard.edu. A date at the aquarium? Expected. Less predictable? A diver swimming right up to your partner with a sign that reads, “Will you marry me?” while he or she watches sea turtles circle a coral reef. For $550 ($640 if you want to spring for a photographer), an aquarium diver will help you take your loved one by surprise during a Giant Ocean Tank Talk. After your proposal, you’ll be treated to champagne and chocolate-dipped strawberries in the Howland Room, which offers harbor vistas. One Central Wharf, Boston, 617-973-5200, neaq.org. If everything you know about romance is based on rom-coms, then the live jazz, spiffy dress code, and (of course) jaw-dropping views you’ll find at this restaurant should meet your expectations. 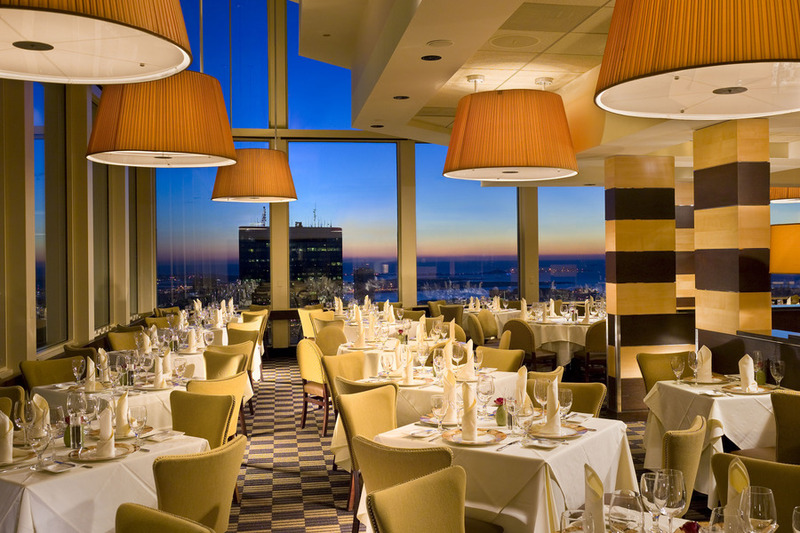 Located on the 52nd floor of the Prudential Tower, Top of the Hub offers brunch, lunch, cocktails, and dinner with views for up to 80 miles. Plus, the restaurant’s events team will help coordinate your proposal for no additional charge, whether it involves a personal airplane banner fly-by or a simple song request. 800 Boylston St, Boston, 617-536-1775, topofthehub.net. If you’re looking to tie the knot with a bookworm or a history buff, take your partner to this National Historic Landmark, which is also one of the oldest independent libraries in the country. The building, which opened in 1849, houses more than 600,000 volumes and a vast art collection, including works by John Singer Sargent and portions of George Washington’s personal library. 10½ Beacon St., Boston, 617-227-0270, bostonathenaeum.org. What could be more “Boston” than getting the other love of your life in on your proposal? 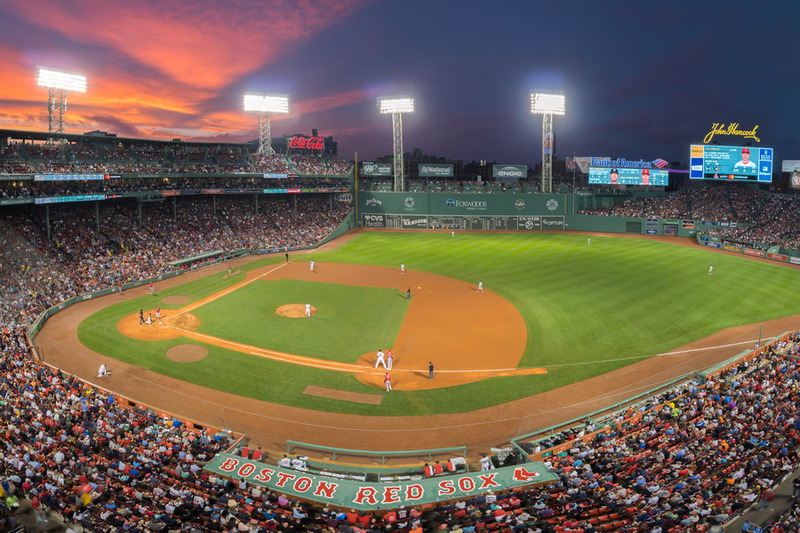 There are two ways to propose during the game: For a $250 donation to the Red Sox Foundation, you’ll get your message on the scoreboard at the end of the fifth inning. For $350, your significant other (and the crowd) will be treated to your live proposal on the video board, with your message below. 4 Jersey St., Boston, 617-226-6377, redsoxfoundation.org.